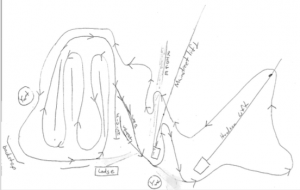 NYSSRA Champs moves to Ski Bowl Park – NYSSRA Nordic Inc. The 2016 NYSSRA Championship Weekend has been moved to the Gore Mountain Ski Bowl Park in North Creek, NY. The 2.5K loop at the park will be used to host Saturday’s Club Championship Relay and again used for the Distance Championship race on Sunday. Sunday will also feature a Try-it/BKYSL 5K for beginning skiers looking for a lower-key affair. The events on Sunday will conclude with a Championship awards party and potluck lunch with season awards, age-group awards, Wilkinson Cup Series prize money and trophy presentation, and club championship series banner presentation. ADK Vauhti and HURT Nordic are co-hosting this year’s races and are looking forward to hosting a great event that will at least end the season on a positive note. The course has been modified from the way it has been used in previous club races this year so it will feel like a new challenge for all. Register here (https://www.skireg.com/nyssrachamps) and you can read all the details about the upcoming races on skireg. 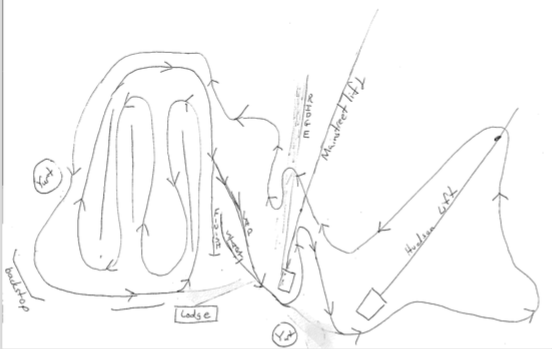 A sketch for the course map has been included below.